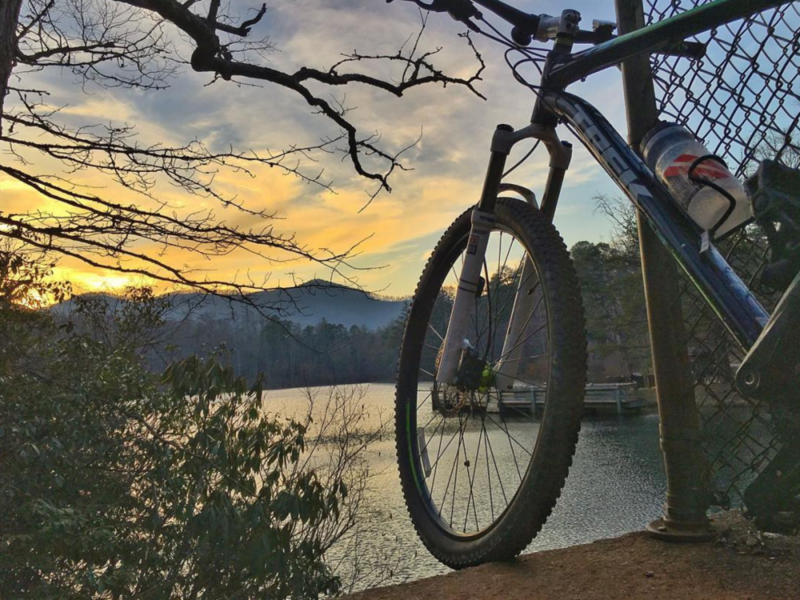 The mountains of the Blue Ridge region are chock-full with a wide variety of mountain bike trails. From moderate rides along old roads to rugged ridge climbing single-track trails; the options accommodate every skill level. Yet, the summer sun has a way of leaving all riders in pursuit of one common goal: a little relief from the scorching heat. For those in search of mountain bike routes that are manageable on even the hottest of days, we have compiled four rides that will land you in some cold, refreshing mountain water. 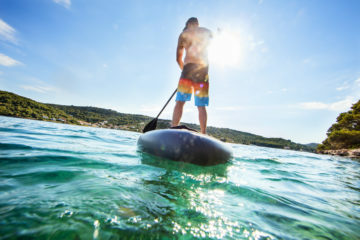 These four routes, a mixture of moderate grade and swimming holes will keep you riding through the dog days of summer. 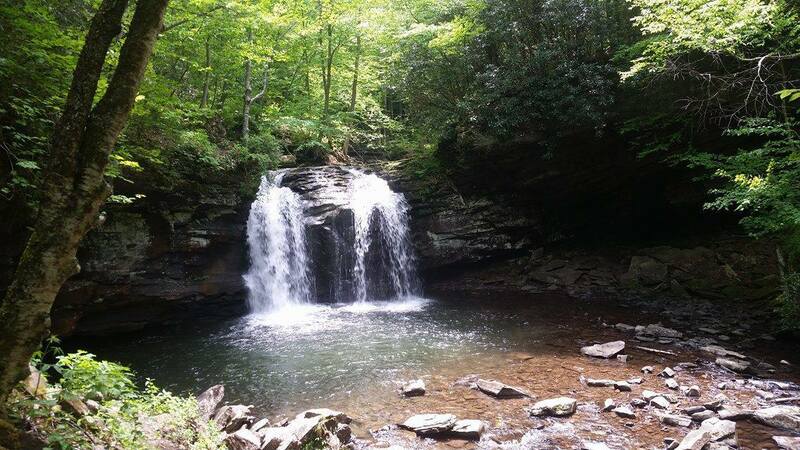 The Monongahela National Forest of West Virginia is your ticket to great trails and swimming holes. Seneca Creek Trail, specifically, will land you at an incredible spot under the thirty-foot Seneca Falls. The route is a relatively easy ride along an old forest road that crosses several streams and swings you past additional choices of swimming holes. The Wilson Creek Wild and Scenic River Area offers not only beautiful views and well-kept trails, but also includes several swimming holes. Located in Pisgah National Forest, Wilson Creek is a portion of the Grandfather District. Make sure to choose your route wisely as only some trails allow for mountain bikes. Biking is permitted on Greentown Trail and will be your best bet for cooling off in the river along the way. Starting off Highway 181, the blue blazed Greentown trail crisscrosses and winds along the river. After your ride, wade in and cool off from the river’s bank. 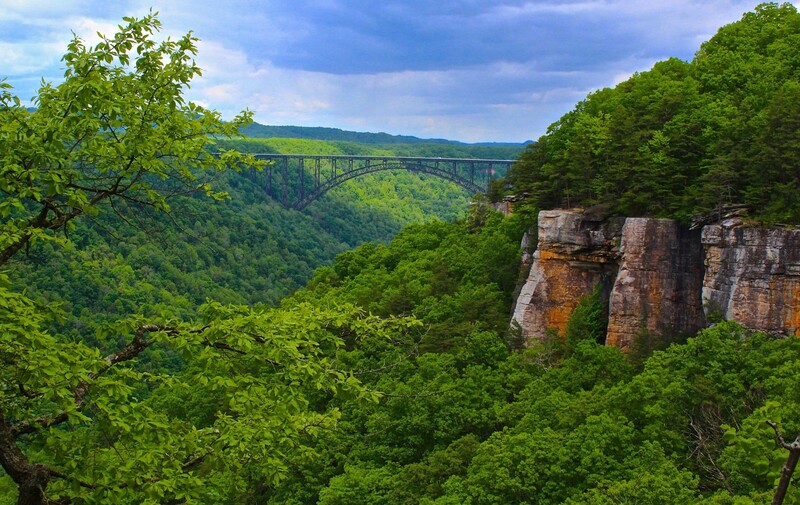 The New River Gorge is an East Coast goldmine for mountain biking. A large network of trails provides several options for grade variety. However, the beautiful winding waters of the New River are what truly make this area a summer destination. As you ride along the river’s edge, it will be hard to resist a refreshing dip into the chilly mountain water. For those scorching hot summer days, consider the Southside Junction Trail as your route of choice. This scenic, seven-mile path along an old railroad track moseys past several ideal spots to stop and wander down to the river for a swim. 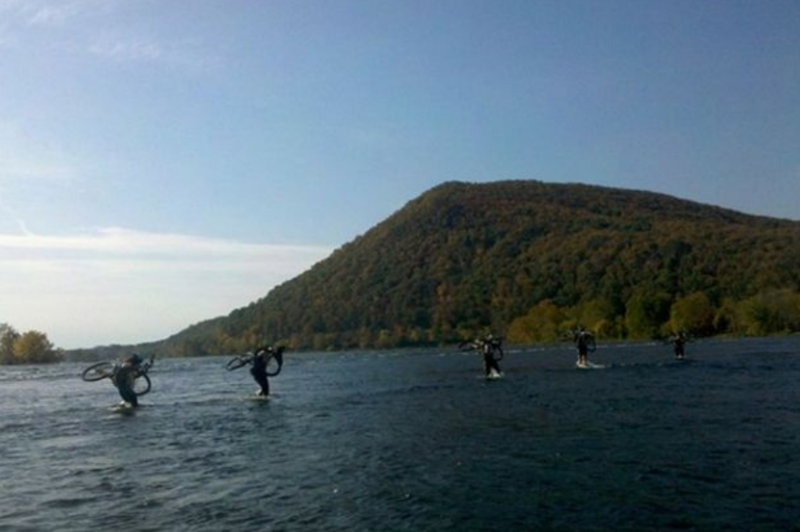 The New River Gorge is an East Coast goldmine for mountain biking. Not far from the popping city of Asheville, North Carolina, the enchanting Nantahala National Forest is home to Panthertown Valley. Here, miles of biking trails offer a variety of rides, loops and terrain. 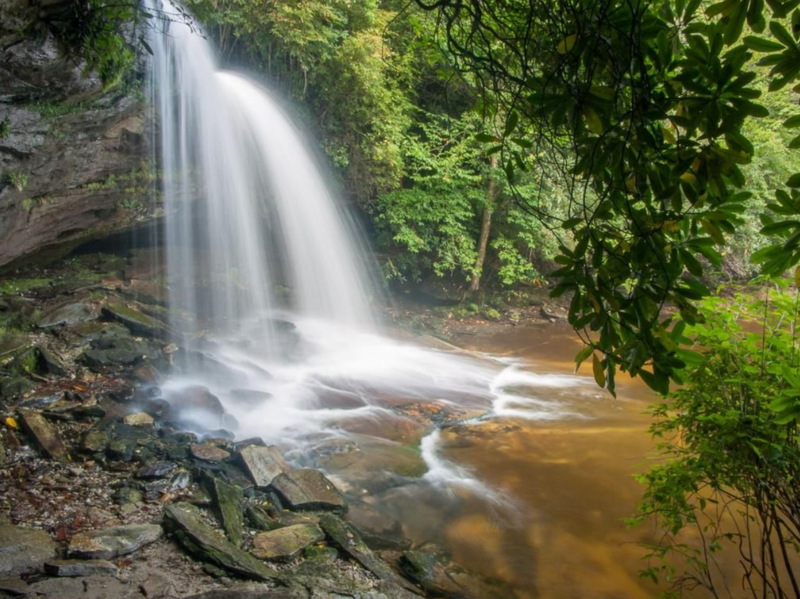 One of the best features in the striking wilderness of Panthertown Valley is Schoolhouse Falls. This is a swimming hole you will not want to pass by. Cool off under the waterfall as it empties into the deep swimming hole below. 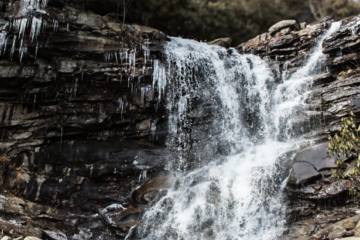 Schoolhouse Falls in Western North Carolina’s Panthertown Valley. From Salt Rock parking area, bikers can pick up Blackrock trail. Which leads into Power Line Road. You can then choose to create a loop using North Road. Come prepared for a short hike as access to Schoolhouse Falls is only by a footpath trail.